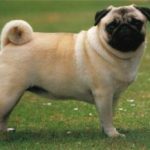 Pug Breeders – What To Look For " "
If you are interested in getting a Pug, you’ve probably looked up Pug breeders you can contact in your area. Although this is a great idea, finding a reputable breeder shouldn’t be the first priority on your list. Your first and main concern should be making sure that a Pug is the right dog choice for you, and that you are in a position to provide the dog with the commitment of a loving, stable home. Therefore, before you even look into Pug breeders, you should first access all the resources you can to fully research the dog. Why should you research the dog first? Think about it. What is the point of finding or contacting a list of Pug breeders to buy a dog if you don’t even know if a Pug is suitable to your lifestyle? For instance, have you thought about the average life span of the dog? Many Pugs can live to be 15 years or more, are you committed to care for a Pug for the duration of his life? What are your reasons for wanting a Pug? Is it your idea, or are you being pressured into getting a dog to appease the desires of your children? If you are getting the Pug for children, don’t forget that you will still be the primary caregiver. Furthermore, are you in a financial position to support a dog? All of these questions are what you need to ask yourself and what you need to find the answers to. After all, you will be asked many of these questions by Pug breeders. Don’t expect a trustworthy breeder to hand over their pups to just anyone who wants a dog. 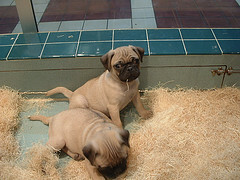 Buy a book – Go to your local book or pet store and look for dog books that are specific to Pugs. Consider buying more than one book to compare information you find. In addition, don’t forget to check out the selection of dog books that are available to you online. Search the Net – The internet can be a great resource. Check out the information provided about Pugs at the kennel clubs of different nations, as well as the websites that have been established by official Pug Clubs. It also doesn’t hurt to check out the websites of Pug breeders, or Pug enthusiasts. 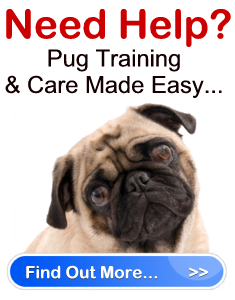 Talk with an owner of a Pug – If you know someone who owns a Pug ask them about their experience with the dog. 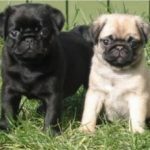 Talk with actual Pug breeders – If you have found a Pug breeder don’t be afraid to use them as research prior to buying. They will be able to provide you with plenty of insight. They can honestly tell you the good the bad and the ugly about the dog. Keep in mind that researching a dog goes beyond words. You should also have physical contact with the dog to see if it is truly the one for you before officially seeking out Pug breeders for the purpose of buying a dog.